Thanks to their stylist Zerina Akers, Halle & Chloe Bailey's matching styles are standouts on the red carpet. The duo was on hand for the 'Star Wars: The Last Jedi' premiere at The Shrine Auditorium in LA on Saturday(December 9th). Both ladies wore LOUIS VUITTON RESORT 2018. 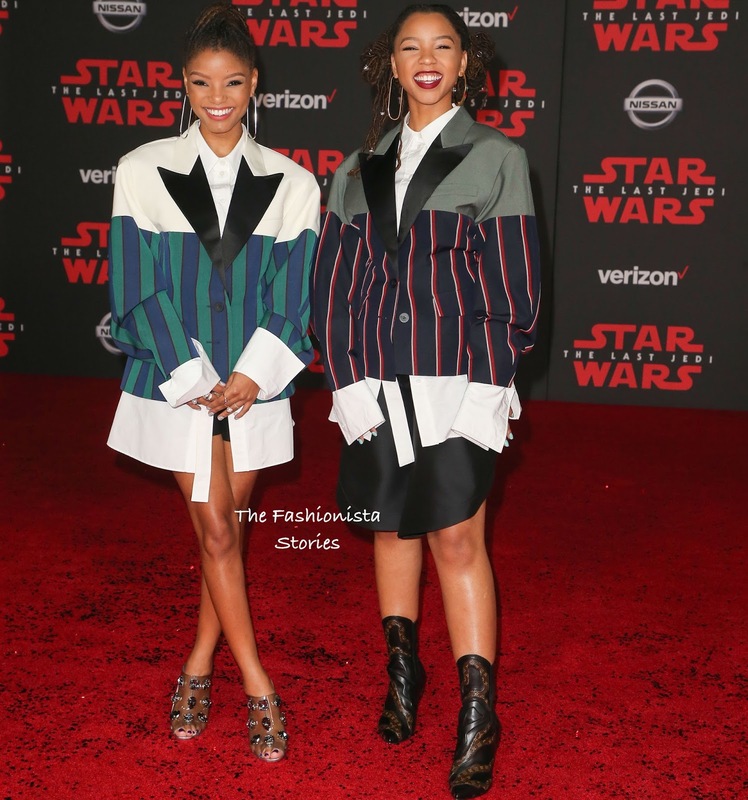 Halle Bailey wore a over-sized white, navy & green stripe panel jacket with contrasting black lapels, a white button down shirt and black shorts. Halle opted to wear embellished sandals with her look but I think ankle length boots would have look better. However I still liked her look. Chloe Bailey wore a over-sized grey, navy, red & white stripe panel blazer with a white shirt underneath & black lapels and black knee length shorts. She is also wearing ankle length boots from the same collection. I find the jacket to be a bit too big on Chloe but I love the idea of their coordinating look. 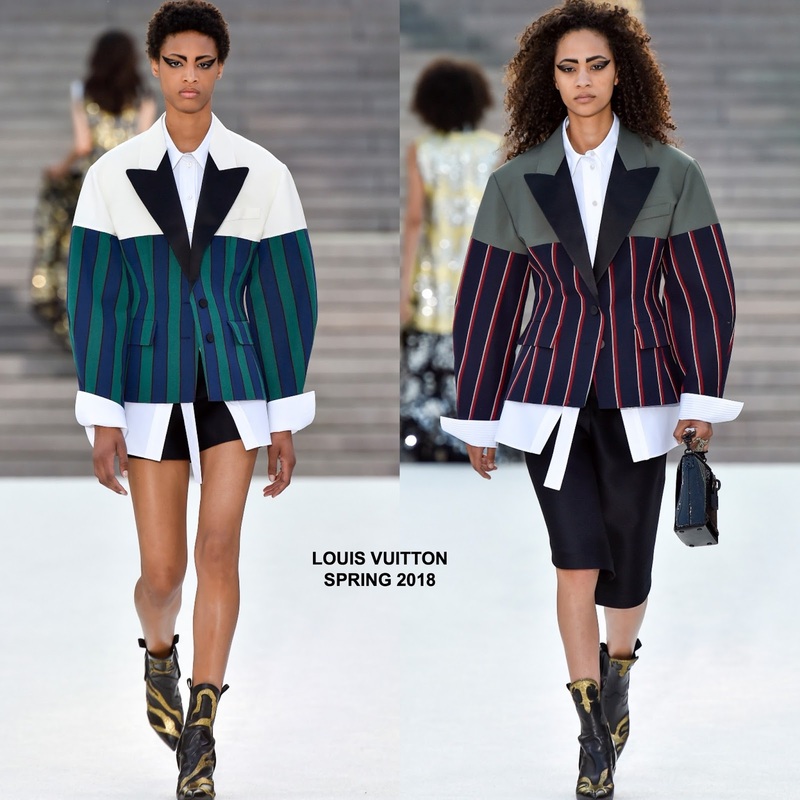 Who's LV look do you favor?